Houston's scorching heat (for much of the year) and sheets of rain (it gets more than Seattle) don't exactly make it a lover's paradise. But if you need to pass through, consider treating yourselves to a stay at one of its most romantic hotels. 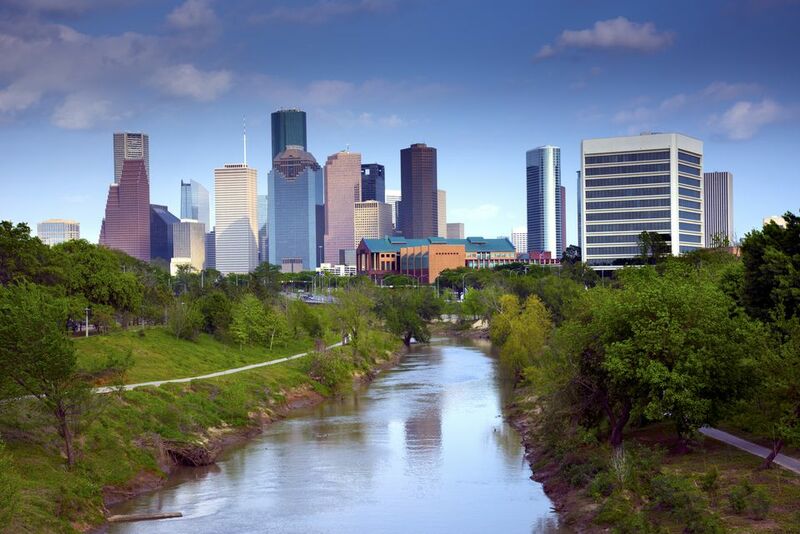 You can also pass the time indoors by visiting its Museum District, which contains nearly 20 different museums in one neighborhood, or shop till you drop at The Galleria, home to some 400 shops and restaurants. It's tough enough navigating downtown Houston's crowded roadways if you've never been here before; looking for a Houston hotel for couples shouldn't make the experience more difficult. Choose from the following to find one that meets your needs, taste, and budget. Four Seasons Hotels & Resorts take pride in their properties and the people who staff them, and it shows. Travelers who appreciate quiet, discretion, quality furnishings, and an amenable staff find all that and more at the Four Seasons Houston. Although the hotel certainly is not the cheapest in Houston, for a honeymoon couple or other romantics, it's nonpareil. An opulent boutique hotel, Hotel ZaZa boasts award-winning restaurants, a spa retreat and a rooftop pool with private cabanas on the second floor. Accommodations include Pool Villas, Concept Suites, and The Magnificent Seven Suites, all inventively decorated. Hotel ZaZa is located within the city's verdant museum district, which consists of 19 museums spread across four zones. If you're planning on visiting other major destinations in Texas, there are also ZaZas in Dallas and Austin. An updated member of the Marriott family of hotels, the modern icon rose from the site of Houston's circa-1911 Union National Bank Building building. Although ​it retains some original details (such as the bank's vault and neoclassical architecture), it's both contemporary and stylish. It's also conveniently located a block from METRORail and bus stops. For a treat, reserve a deluxe room whirlpool tub, which is big enough for two. Located between River Oaks, the city's quiet and exclusive residential neighborhood, and the Houston Galleria, The St. Regis Houston is known for exceptional service. Many members of the staff have been with the property for twenty years or longer. If you're planning to do some Texas-size shopping, put 'er down at Hotel Indigo, InterContinental's hip budget hotel brand located in the main shopping district of Houston. Changes are made throughout the year at Hotel Indigo in Houston to keep guest rooms looking fresh: Photographic wall murals, rugs, duvets, and slipcovers receive timely updates. Wi-fi is free and bathrooms are spacious. Public spaces are transformed seasonally as well, with different aromas, music, artwork, and even signage. Adjacent to hundreds of places to eat, shop and be entertained, Hotel Derek Houston Galleria features luxurious rooms and a focus on guest amenities that keep guests returning to this Houston hotel. Loft suites feature wired work spaces. A haven for traditionalists, the Houstonian Hotel is located on an 18-acre spread in the middle of Houston. It prides itself on being an "urban resort," and hotel guests are especially fond of the on-site spa. It's also just two miles from the Galleria and provides a complimentary shuttle for shoppers. Houston’s first boutique hotel is also a member of the Historic Hotels of America; it originally opened its doors in 1926. This local landmark, Houston's oldest continually operating hotel is located in Houston’s Theater and Business District. The original home of the Houston Post Dispatch newspaper, the four-diamond Magnolia Hotel Houston in downtown Houston also went through an incarnation as the home office of the Shell Oil Company. Reopened as a hotel in 2003, it was named the "Best Boutique Hotel in Houston" 10 years later by a local paper.